A fantastic 4-day tented safari to Kenya’s Masai Mara Reserve, one of Africa’s best game viewing destinations! 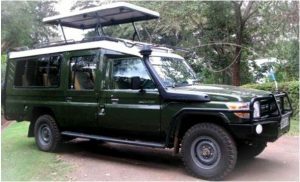 This wildlife safari journeys from Nairobi to the beautiful Masai Mara, via the incredibly scenic Great Rift Valley. Arriving at Masai Mara Park we have lunch and embark on a late afternoon game drive. We spend the whole of day two on game drives in search of the wildlife that makes this one of Africa’s premier safari destinations. The Masai Mara is especially famous for its big cat population and the Great Wildebeest Migration – a wildlife spectacular like none other on earth. Having experienced a touch of Kenya’s stunning landscapes and rich wildlife, this short Masai Mara Camping Safari ends back in Nairobi on day three. Leave Nairobi in the morning at 8.00 am drive to the view point of the great rift valley, descend the escarpment and drive via Narok then to Masai Mara for lunch at the campsite followed by afternoon game drive in Masaai Mara famous for its black manned lions and yearly migration of wildebeests, dinner and overnight at camp. Today shall be a game viewing extravaganza! The Mara as is popularly known remains the most exciting wildlife eco-system in the Natural world. Masai Mara reserve hosts the highest and varied concentration of wild animals than any other park in the region. The scenic appeal of this tree studded savannah plains, its moderate climate and diversity of wild game species makes it a one stop shop for game viewing activities. We shall traverse the reserve on a full day of unlimited game viewing encountering the big five and more of the lesser game. You shall enjoy a picnic lunch by the Mara river as we watch hippos & crocodiles or maybe the great migration (July –October) Meal plan: Breakfast, Lunch, Dinner. Another day of full day game viewing extravaganza! 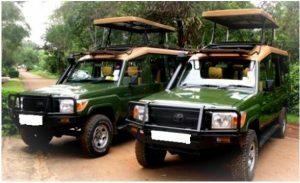 You may opt to have the full day game drives or game drives in separate successions so that you may also have a chance to enjoy lodge/camp facilities. 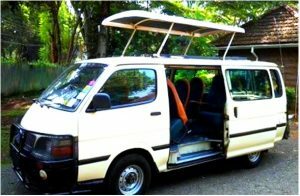 The driver guide shall be readily available to discuss your daily activities as per your preferences. Meal plan: Breakfast, Lunch, Dinner. Early morning game viewing drives at the Masai Mara. 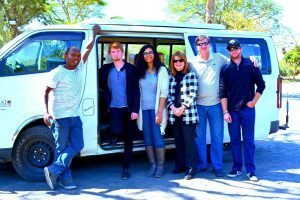 Depart for Nairobi with a lunch stop on the way Arrive Nairobi in the late afternoon (appr.1630pm) Meal plan. Breakfast, lunch.